This is another record that I recently picked up in the United Kingdom. What is frustrating is that I have been researching some of these bands and discovering that they have other singles out that I now feel obligated to purchase and post here. You might have guessed that I am a neurotic completist. That being said, this record is good enough to warrant picking up the other ones too. I will keep my eyes peeled and bring them to eventually, although I wouldn't hold my breath as it probably won't be anytime soon. 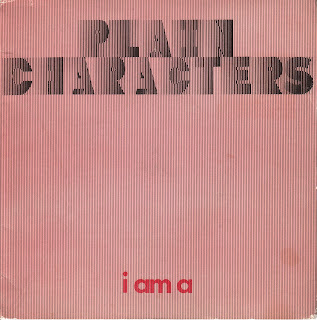 Ladies and gentlemen, for your listening pleasure, Plain Characters.